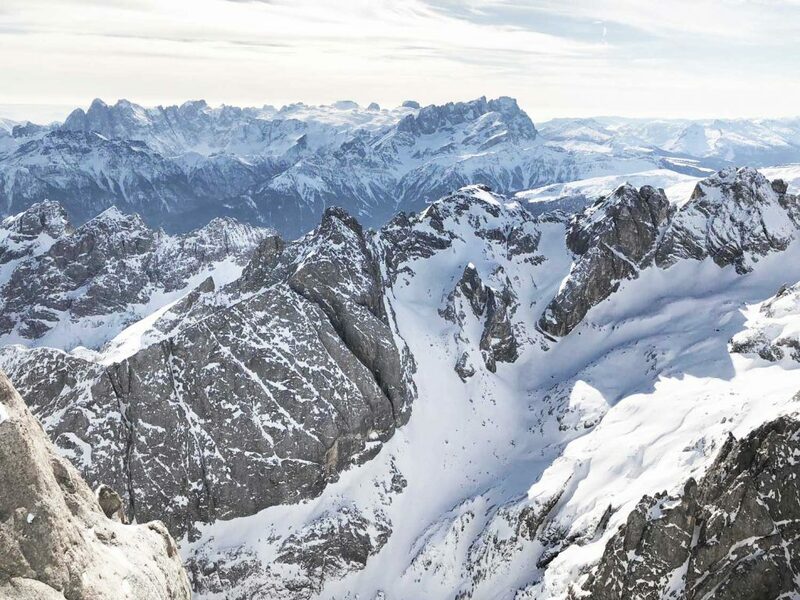 Go around the Sella massif on skis and traverse the Ladin valleys of the Dolomites. Enjoy the breath-taking views and the perfectly prepared slopes. 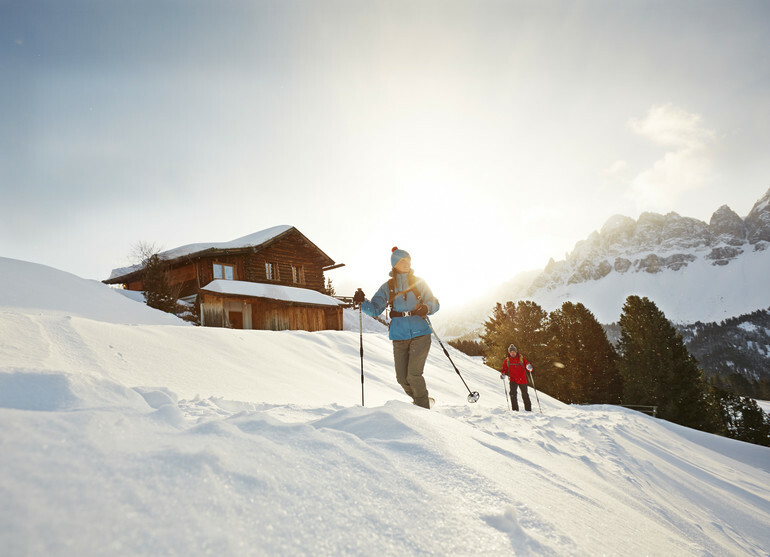 The Sella Ronda tour is offered once a week led by Gottfried Schgaguler as part of our ski and hiking tours programme. 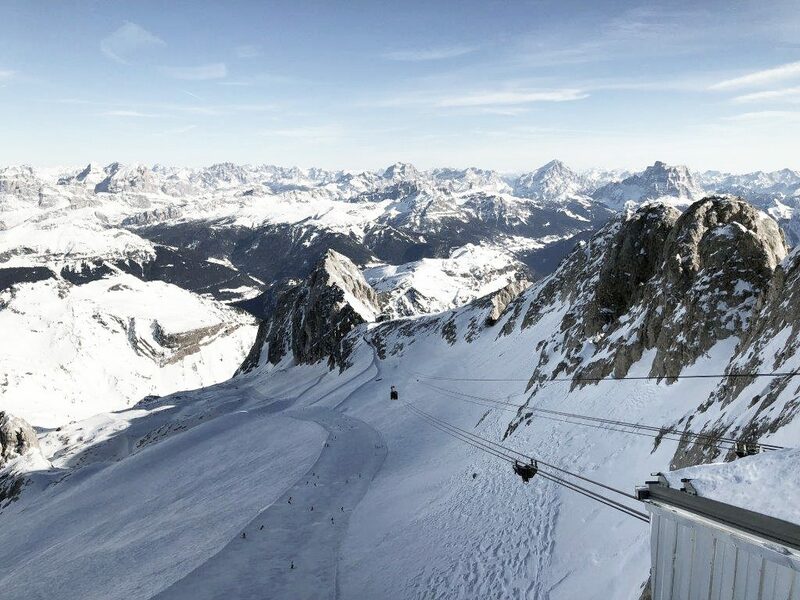 On this tour you will make it all the way to Veneto on skis and in doing so traverse the whole area of the Dolomites. The highlights of this tour are the Falzarego Pass, the Cinque Torri and Cortina. On this circuit you will experience the Dolomites in all their glory. This ski tour is offered once a week and is led by Gottfried Schgaguler. 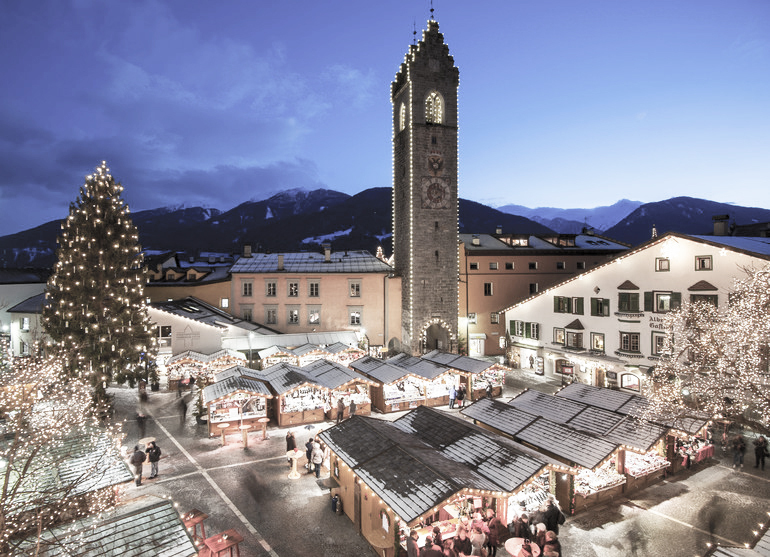 Discover the local craftsmanship and traditions at the Christmas markets in South Tyrol. In addition to the big, well-known markets, such as Bolzano, Merano and Bressanone, there are small Christmas markets in the small mountain villages, such as Kastelruth. You can expect to find masterpieces made by local craftsmen and South Tyrolean specialities on the stands of these idyllic markets. 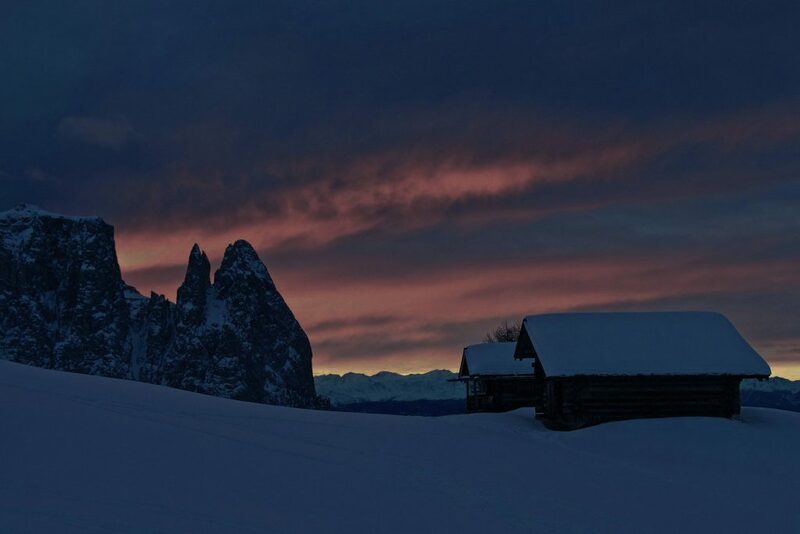 Hike after sunset to one of the remote mountain huts on the Seiser Alm. There you will be served South Tyrolean specialities and hot herbal tea. To finish it off, you will toboggan through the snow-covered pinewood forests into the valley. This adventure is offered once a week as a group hike with Gottfried Schgaguler. Experience physical exertion and the complete stillness of nature. Hike over the snow-covered alpine pastures, through snow-topped pinewood forests and discover untouched areas. This hike is on offer once a week and is led by Gottfried Schgaguler.